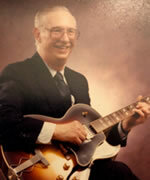 Ed Birdwell, 81, a French hornist and a member of Local 802 since 1961, died on Jan. 26. Mr. Birdwell came to the French horn as a would-be trumpet player facing stiff competition in his hometown Texas high school marching band. Since band membership was second in status only to being on the football team, he agreed to play French horn. Mr. Birdwell majored in music at the University of Houston and was working on a master’s degree at the University of Texas when, in 1958, he was drafted. A friend advised him to audition for the West Point Band; following that advice, he later remembered, was the most significant decision of his professional life. He remained in the West Point Band for three years, and thereafter worked as a freelancer in New York. His first permanent orchestra job was with the Houston Symphony, playing eight services for $100 a week for 25 weeks and working odd jobs to make ends meet. He returned to New York “to go where the business was,” as he later put it and, two weeks later, was playing in the pit band for Broadway’s “Stop the World – I Want to Get Off.” In 1964, he became a member of both the New York City Ballet Orchestra and the American Brass Quintet (ABQ). The quintet was in residence at the Aspen Music Festival and School where, in 1971, Mr. Birdwell was named assistant to Dean Gordon Hardy. That job presaged an administrative career that included deputy director of Carnegie Hall (starting in 1976); executive director of the Los Angeles Chamber Orchestra (in 1978); assistant orchestra manager of the Boston Symphony Orchestra (1981); director of the music program at the NEA; and managing director of the Seattle Symphony, where he did extensive work in education. Conductor Gerard Schwarz, who met him when he joined the ABQ at 18, remembers Mr. Birdwell as “a remarkable man – as a musician, music lover, administrator, and especially as a dear friend to so many people.” Mr. Birdwell is survived by his wife Nancy; sons Edward and Allen; grandchildren Andrew, Cora, Claire and Rai; sister-in-law Betsy and nephews Randy and Timothy. Edited from an obituary written by Helen Epstein; reprinted with the author’s permission. Ed Birdwell and I first met when he became the new second horn player of the New York City Ballet Orchestra in 1964. Ed was a Houston boy, straight from Texas, and when a year later we selected him to fill the horn vacancy in the American Brass Quintet, he and I became close friends. From that point on our busy careers followed the same path with the American Symphony and many other freelance orchestras in New York. Together we toured the world with the ABQ. In 1970, we became faculty members at the Aspen Music Festival and School, and the following year we both joined the festival administration working in its New York office just a few blocks from Lincoln Center. This was a time when musicians were, for the most part, without contract protection or benefits such as sick leave, medical coverage and pension benefits. In 1961, the AFM pension fund was first opened to orchestra musicians. A year later, ICSOM was formed. Around then, Local 802 negotiated the very first contract with the New York City Ballet and it was 1968 before the ballet orchestra was accepted into ICSOM. Ed jumped into this turmoil, became an active committee member and helped achieve many contract improvements. He also attracted the attention of writer Helen Epstein, whose article about Ed – “The View from the Second Horn” – was published as the cover story of the Sunday New York Times Magazine on Jan. 20, 1974. Later, she wrote a whole chapter about Ed called “An American Freelancer” in her 1987 book “Music Talks.” (Helen also contributed the obituary for Ed above.) Meanwhile, Ed became a real New York West Sider. He and his wife Nancy hosted frequent dinner parties at his Riverside Drive condo, where I was often a guest. When the ABQ was on tour in Texas, a barbeque at his father’s ranch was always in order. But Ed had higher aspirations. 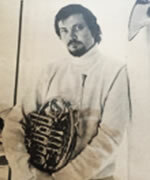 He put aside his French horn to follow an administrative career, becoming deputy director of Carnegie Hall in 1976, executive director of the Los Angeles Chamber Orchestra in 1978, assistant orchestra manager of the Boston Symphony Orchestra in 1981, and director of the music program at the National Endowment for the Arts in 1984. He ended his career as managing director of the Seattle Symphony Orchestra and did extensive work in education. I feel privileged to have been a close friend and will cherish that friendship forever. 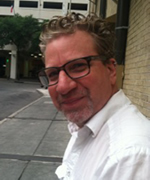 Guitarist and composer Alex Domschot, 59, died on Feb. 24 of a fatal heart attack. He had been a member of Local 802 since 2003. Beginning his career in his hometown of Las Vegas, Mr. Domschot performed in production shows and behind numerous headliners. Moving to New Jersey in 1983, he became a member of the house band at the Resorts Hotel in Atlantic City. After relocating to New York City, he joined a number of Broadway national tours, the latest being the 2016-17 “Mamma Mia” tour. His untimely passing has left a large community of musician friends and colleagues shocked and saddened. Mr. Domschot is survived by his wife, Local 802 member and Executive Board member Wende Namkung, stepchildren Michael and Gillian, daughter Monica and siblings Lindsey, Nick and Ma.